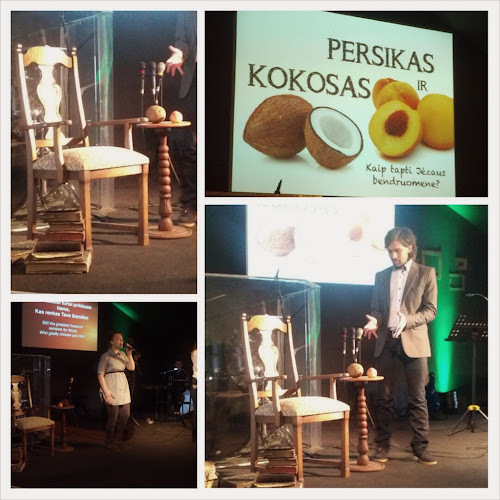 I thought you might be interested to know that our friends Saulius and Sanna in Lithuania have been taking their church through some of the Peach and Coconut material. The photos are of Saul preaching last Sunday. It's so encouraging to hear how some of the things we've been learning as a community are now being applied not only in the UK but also in other nations.